While visiting the amazing town of Rye, East Sussex in the UK, I treated myself to tea Fletcher’s House. Jenny from Jeakes House Hotel suggested that I go and check out the quaint little restaurant and tea room. I wasn’t disappointed. 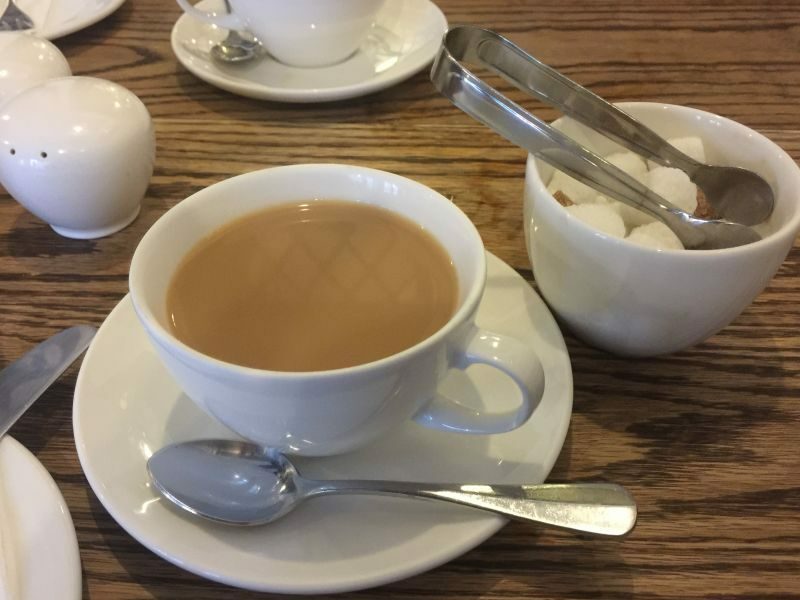 I admit it, after 20 years living in the UK, I have become converted into a British tea snob. 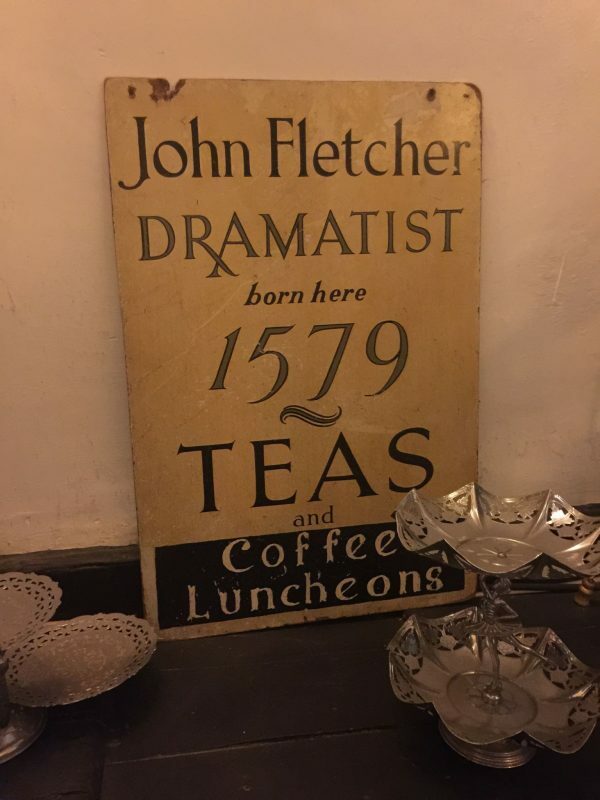 Water for tea must be boiled, tea should be from tea leaves and not from a bag, and tea cup should be bone china and never a mug. It’s just how it is. Oh, and if you are asking, milk gets put into tea not the other way around. How else will you be able to judge the correct color of your tea if you aren’t adding your milk slowly into your tea? The Brit comments: Here I beg to differ. I believe that the milk should be added first. Since, I am British, I will state that my preference is correct. No less an authority than the Guardian newspaper agrees that science backs pouring in the milk and adding tea. 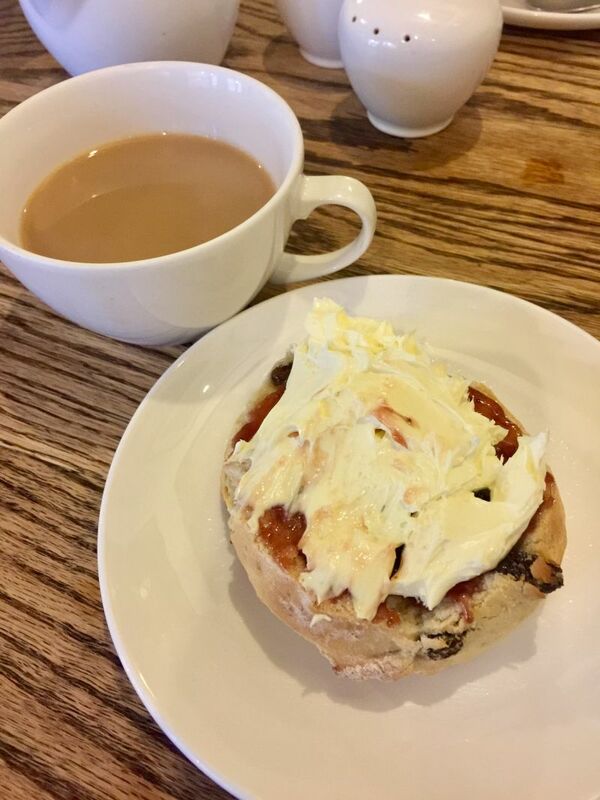 One sandwich, one scone, one piece of cake, one pot of tea, clotted cream, and jam. It is a lot of food. To be traditional, we each ordered something one would eat at a tea. 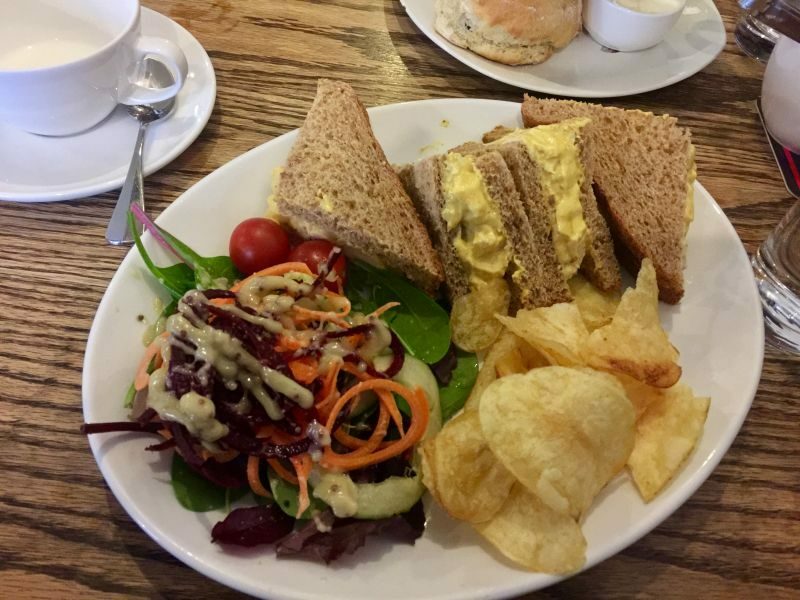 She ordered a salmon and cucumber sandwich; I ordered a coronation chicken sandwich. You may have read that I had a near disaster with this dish at another restaurant earlier in my trip, so I ordered it nervously. Thankfully, every single item was amazing. From the friendly, fast service to the flavors of every part of the meal; I was very impressed. 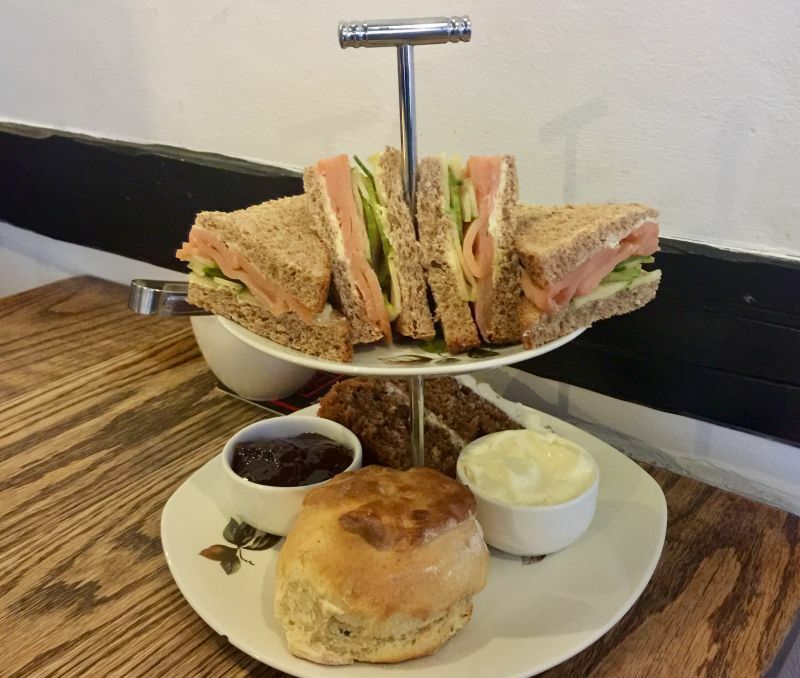 The salmon sandwich tasted nice and fresh, the coronation chicken filling was very generous, and the scone was one of the best I have ever tasted. Scones aren’t an easy thing to produce en masse. Overworking them makes them tough and heavy. It is such a joy to eat one that is light and tender. The carrot cake was most, flavorsome and delicious. I would have been happy to eat that on its own, but I was too full with the scone and sandwich. 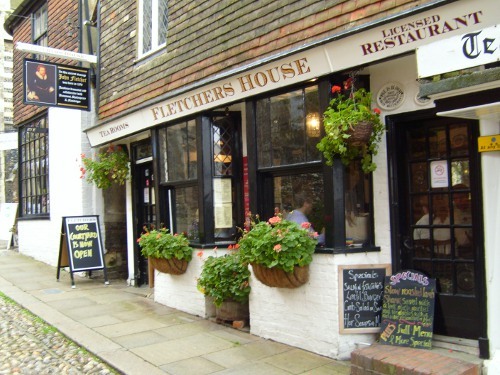 I would highly recommend Fletcher’s House for tea or lunch when visiting Rye. A true British gem!